Neptune Crossing to Be Narrated by Grammy Winner Stefan Rudnicki! Great news on the audiobook front! 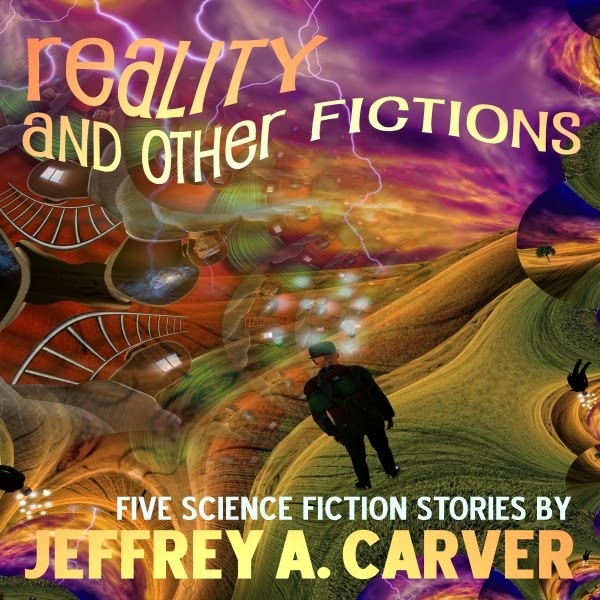 While many of my older books have been available in audiobook for some time, my most recent work has never been recorded in commercially available audio. Well, we’re about to start changing that! 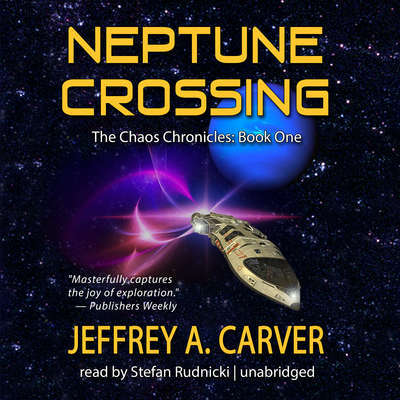 Neptune Crossing is coming to audiobook, and with a vengeance. I’ve signed with Skyboat Media and Grammy Award-winner Stefan Rudnicki to both produce and narrate the book. In short, I’ve just signed with one of the premier audiobook producers in the business! I could not be happier. I have long noted Stefan as one of the narrators I most enjoyed listening to as a consumer of audiobooks. (Audiobooks are how I get most of my reading done nowadays. Some people use them to while away long commutes. I use them to while away long dog walks. In fact, my most recent listen was to Zeroboxer, a wonderful young adult science fiction novel by Fonda Lee, narrated by Stefan.) 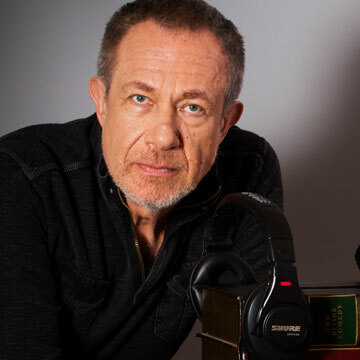 I have long felt that if Audible or any other audiobook producer were to ask me who I would like to narrate any of my books—and no, they’ve never asked—Stefan’s name would have been right at the top. My road to getting Neptune Crossing into audio has been a rocky one. 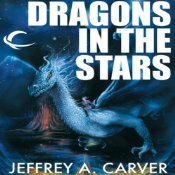 Tor Books, the original print publisher, controlled the audio rights, but didn’t exercise them. A few years ago, I started trying to get just the audio rights back, but it was a slow slog; and when I finally got a complete rights reversion, it came just too late for a particular window of opportunity. That was pretty discouraging, and for a time, I didn’t do anything further. But when one door closes, another opens. When a colleague of mine at Book View Café mentioned that Stefan’s Skyboat Media was open to new material, I thought, “What have I got to lose?” I queried, and sent them an ebook to peruse. About a week later, Stefan made an offer for a production deal, with Blackstone Audio as partners—and because he liked the book so much, he wanted to narrate it himself! I didn’t have to think long about that. I brought my agent in to handle the contracts, and a few weeks later, we were signed. Stefan tells me we’re aiming for a release date of September 6, in both CD and MP3 download from all the major audiobook vendors. This will be an important trial. 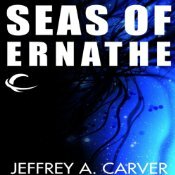 If sales go well, the hope is to continue with the other Chaos titles, and maybe Eternity’s End. So everybody, Please pull with me on this one! Spread the word! 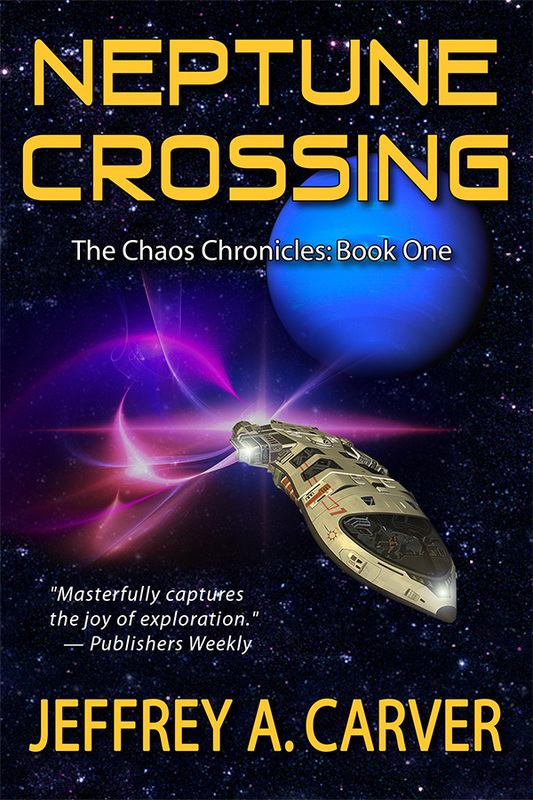 Neptune Crossing hits the airwaves on September 6! If you don’t listen to audiobooks yourself, you probably know someone who does. What a great gift! Or get your local library to order it! That’s the ticket! 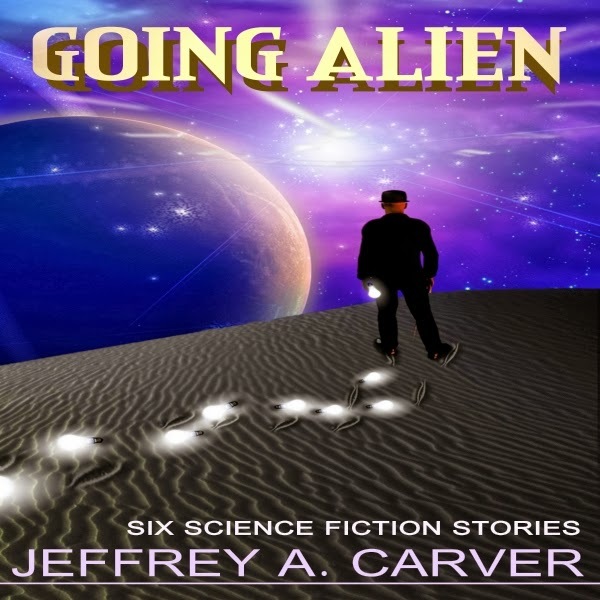 Once again, I was surprised to discover that more of my books are up on Audible.com! 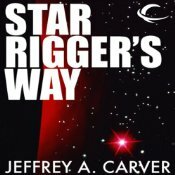 Five Star Rigger books were released in February. 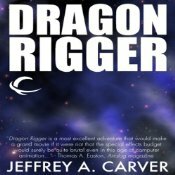 That’s Panglor, Dragons in the Stars, Dragon Rigger, Star Rigger’s Way, and Seas of Ernathe—all of the Star Rigger books except Eternity’s End. You can see the lot of them on my author page, or go straight to the individual titles. 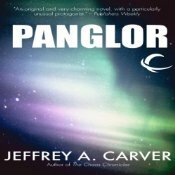 I’m still working with the Audible people to get the descriptions corrected (Panglor has the wrong plot description altogether), and not all of the sample buttons are working. But the books are all available. They’re also for sale in the iTunes store. The titles that went up in October are all listed now as being enabled for “Whispersync for voice,” which means if you have a Kindle edition you can switch back and forth between reading the ebook and listening to the audiobook without losing your place.